You have better things to do than managing your hosting. Maintaining a website shouldn’t mean spending hours optimizing your server and battling security threats. With Managed WordPress, I will handle the technical stuff for you – server setup, security, backups, even performance optimization. 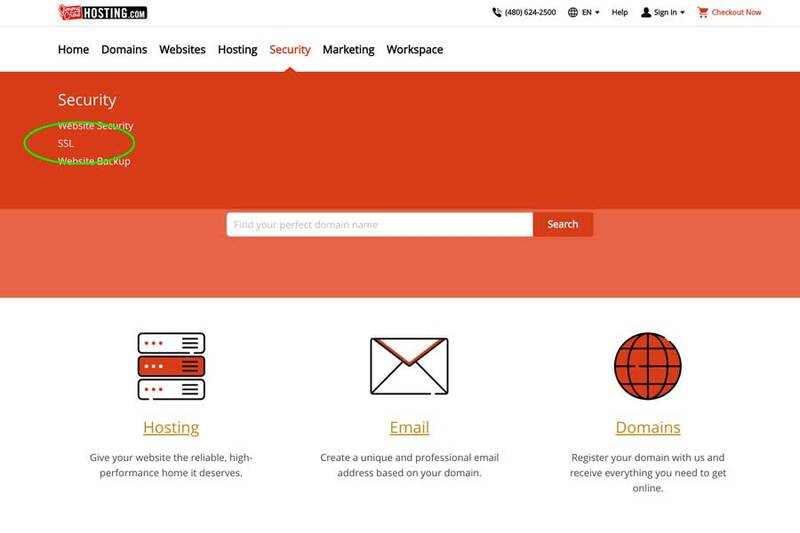 If you have already purchased your domain name then all you need is a Managed Worpress® Hosting Account and we can get started building your site. 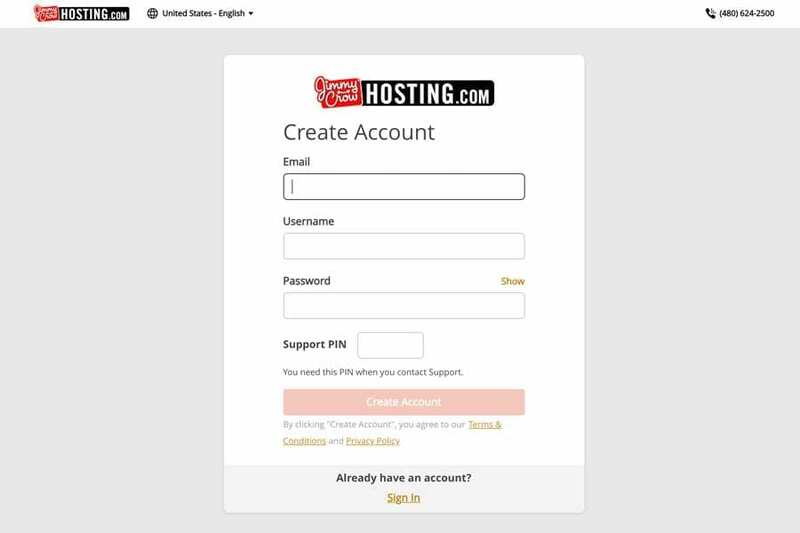 To have a website you have to have a hosting account. 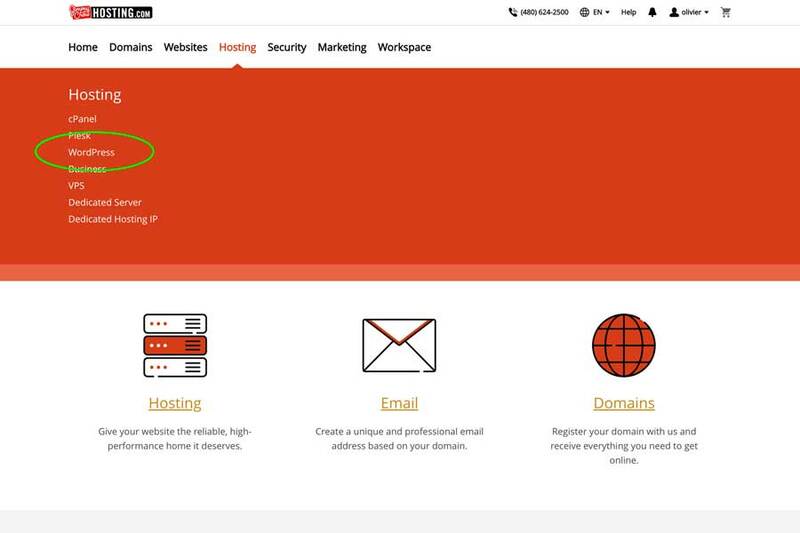 Think about it like this, your hosting account is your web sites house on the internet and your domain is its address. You will then be taken to a screen to choose your plan. If i’m building a single site for you then choose the Basic plan at $7.99 per month (RED Arrow). 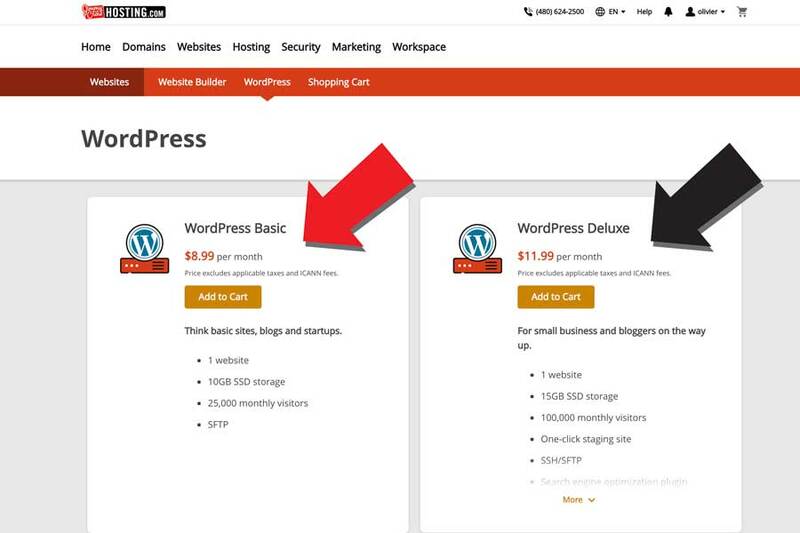 If I am building multiple sites for you then the DELUXE PLAN at $9.99 per month may be a better choice (BLACK arrow). After you make your choice you can begin the checkout process. 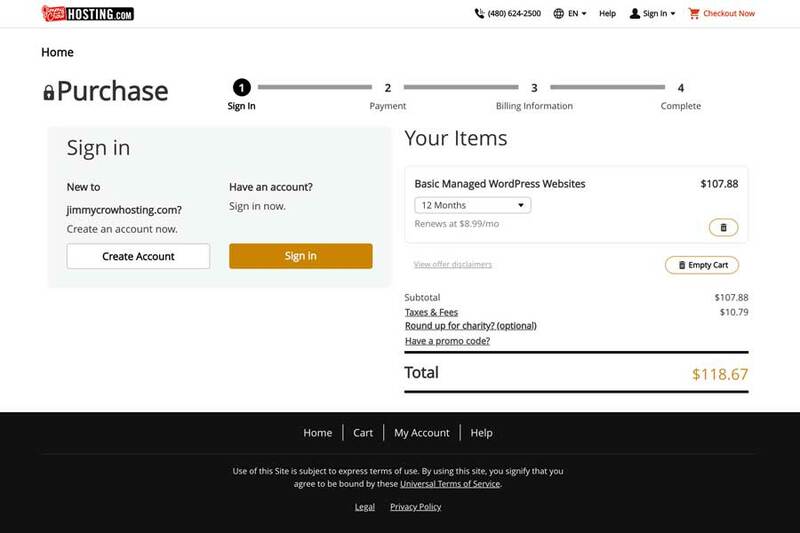 As long as the Managed WordPress® hosting plan is all you are purchasing you can proceed to checkout. You may be offered a few add-ons after selecting your Managed WordPress® Hosting like Email Plans, Private and Deluxe Domain Registration, SSL Certificates, etc. Unless we have discussed purchasing any of these products you can skip them all and just purchase your hosting. Don’t worry because once you have your account setup we can always go back and purchase any of them later. If you have purchased a domain, hosting or any other product from me before then you can enter your Username or Customer # and Password and finish your checkout. If you are a new customer you will need to set up an account and add a credit card to this payment and any recurring payments. jimmycrowhosting.com will process a recurring charge once a year for hosting. It’s important that you keep your credit card info current so your charge will go through each year. You will receive reminders when your card is going to be charged again as well as notices when the expression date of your card on file is expired. Once you have set up your account you simply need to finish checkout and you are done! I will need you to email me your Username, Password, and Pin # so I can access your new account and set up your Managed WordPress® Hosting so please do this as soon as you are finished. If you didn’t set up a Pin# don’t worry, I will do it for you once I log in to your account. You will receive several emails from jimmycrow.com once you finish your purchase and when I go in and set up your WordPress site (see examples below). Please forward all these to me at jimmy@jimmycrow.com as soon as you get them. An SSL (Secure Sockets Layer) is the standard security technology for establishing an encrypted link between a web server and a browser. Google is making it clear to all webmasters that they need to ensure they’ve implemented security certificates properly to provide the best possible experience for visitors and retain their search positions. Google is also giving a bump in SEO rankings to every site that has an SSL certificate installed. 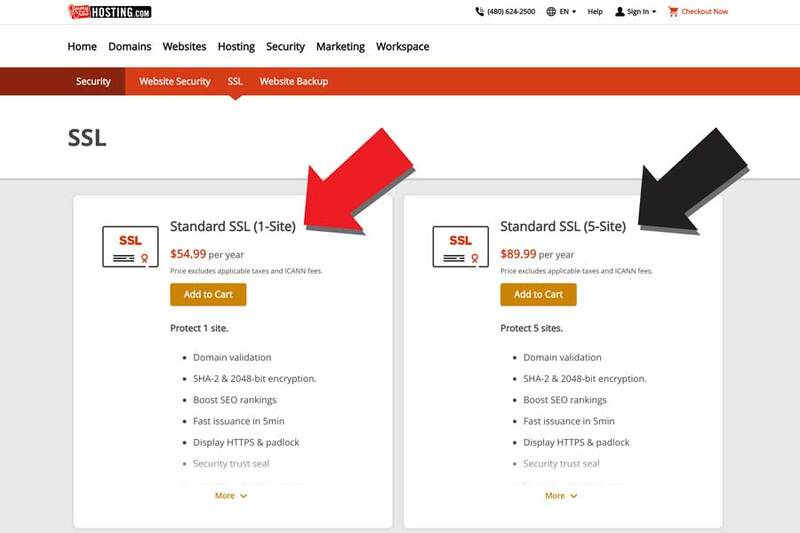 Unless you are an LLC or plan to be operating a large e-commerce site a STANDARD SSL will do. If you don’t want to pay for several years in advance a 1-year plan is fine. Just add your SSL to your cart and checkout. Once you are finished please let me know and I will go into your account and set up your SSL for you. If you have any questions while purchasing your Managed WordPress® Hosting or SSL Certificate please don’t hesitate to email me at jimmy@jimmycrow.com and I will be glad to help you out.